Since Minecraft was first released in 2009, players have been building their own virtual worlds, erecting countless, giant statues of Pikachu and posting semi-obnoxious Let’s Play videos on YouTube. 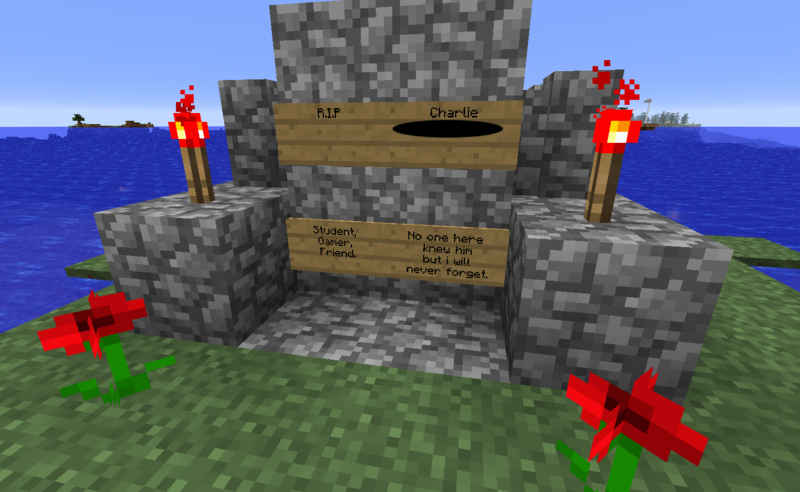 You'd think that by now, we would have seen everything Minecraft has to offer, but some of the game’s most personal, heartfelt, and tragic stories remain buried on dead servers. Minecraft player Matt B., whose Reddit username is “worldseed,” is data-mining old servers in search of players’ darkest secrets. (He spoke to us anonymously, saying that he preferred to keep his online and offline identities separate.) Matt wrote two programs in Java: BookReader.jar and SignReader.jar. 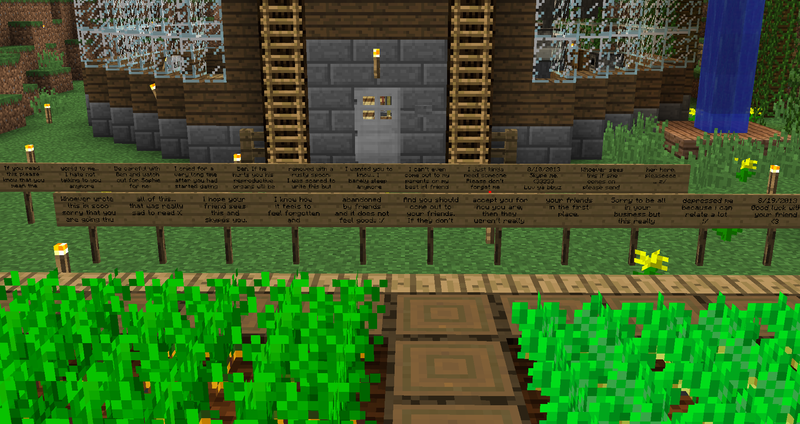 These applications scan a Minecraft map for every book and sign left behind by players. They then dump all these messages into a text file that Matt can search for terms like “treasure.” Each log entry contains the exact in-game coordinates of the written document. A few days ago, he founded the MinecraftDataMining subreddit and, so far, has enlisted around 30 volunteers in his efforts to dig up love letters, diaries, and bad high school poetry. 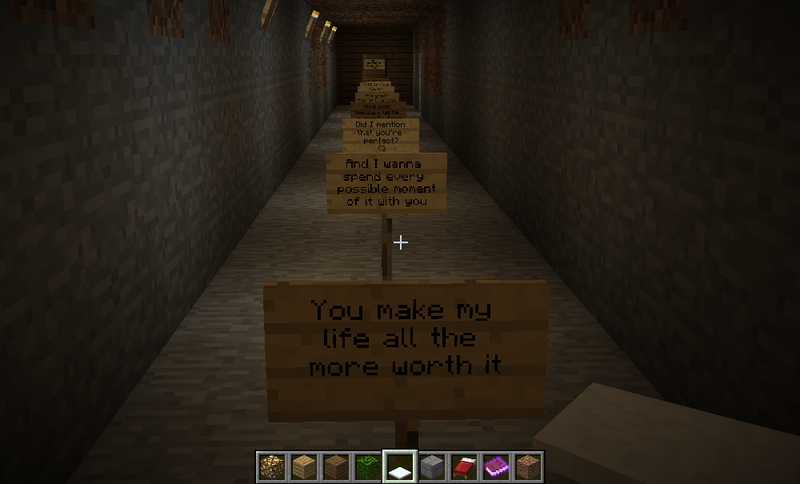 Minecraft players can write anything they want on in-game books and signs. As expected, many of these notes are related to things players do in the game. There are recipes for healing potions and written notices that one player has intruded upon another player’s property. But occasionally Matt stumbles across something remarkable. Discoveries range from the utterly bizarre, like the diary written from the perspective of a chicken found buried underground, to discarded documents of loneliness and grief. In one instance, Matt found what appears to be a player’s suicidal thoughts in a cave hidden below a house on a server that has been closed for five years. Not all the signs are so somber. One series tells the story of a missed connection. A player has stopped playing the game, only to return to find their online friend now away. 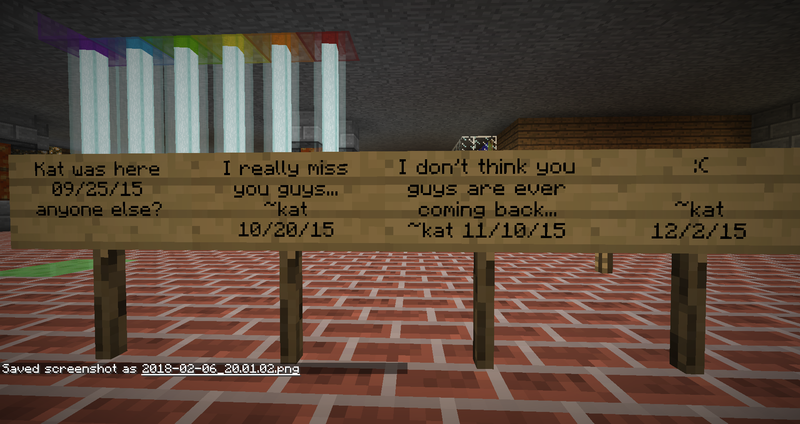 “I don’t think you guys are ever coming back… ~kat 11/10/15,” the sign reads. “Hey, it’s Zmoney. Yeah. we’ve all stopped playing Minecraft :/,” another sign replies. Matt’s data-mining efforts were inspired by an unsolved mystery from his days treasure-hunting in Minecraft. 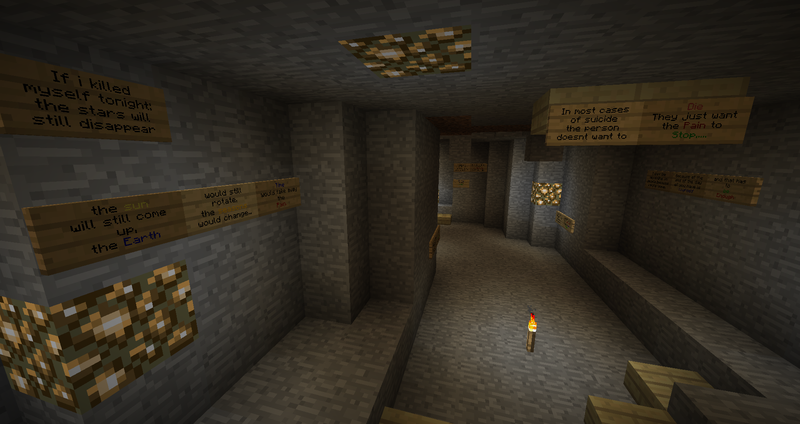 Around 2011, a player reportedly hid a treasure chest containing 64 diamonds somewhere on the Aperture Games Minecraft Server. But the chest never turned up, and the lore of unclaimed loot lingered in the back of his mind for the next seven years. In hopes of finding the missing jewels, Matt wrote the two programs in Java. When he went to the chest, someone had already raided it. Though half of the diamonds were gone, he had found something more valuable: all the written communication that remained on the server. Minecraft is enormous, with each game map covering a surface area of four billion square kilometers. Because of the map’s sheer size, the majority of these correspondences might never have come to light otherwise. Matt said the excavation of a server can net anywhere from 20,000 to 450,000 written documents in the form of books and signs. To pinpoint unconventional signage, Matt uses keyword searches for provocative terms such as “If you are reading this,” “Hate myself,” and “RIP.” If something catches his eye, he opens the server map and has a look around.